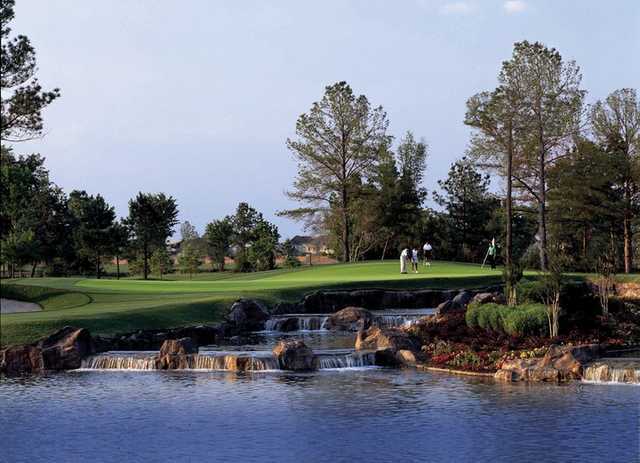 The Royal Oaks CC serves up an unparalleled Fred Couples signature course that tips out to a 7,007-yard, par 72, highlighted by the superb features of the country's finest golf clubs: tall Texas pines, scenic waterfalls, undulating, multi-level greens, and even a few island holes. Couples clearly favors traditional golf designs, as this one is pure old-school. A whopping six sets of tees allow just about anyone to enjoy the game at this exclusive club. 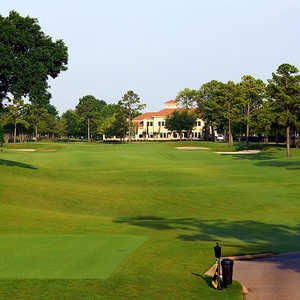 The front side features the most difficult rated hole-the 473-yard No. 7, which tees over water and involves a tricky approach into a green protected by water left and back. The fairway snakes on No. 7, which creates some deceptive angles from which to approach the hole. 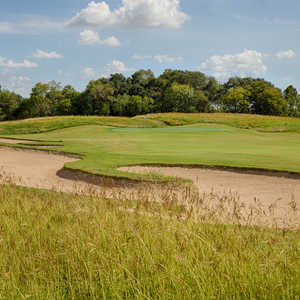 On the back, Couples mixed it up well by offering an easier stretch of golf on holes 13-16, which consist of two relatively short par 4s and a pair of reasonable par 3s. Getting there : Take Beltway 8 south from I-10 to Westheimer. Turn right and drive to Rosemary Park Ln., where you'll turn left into the club.